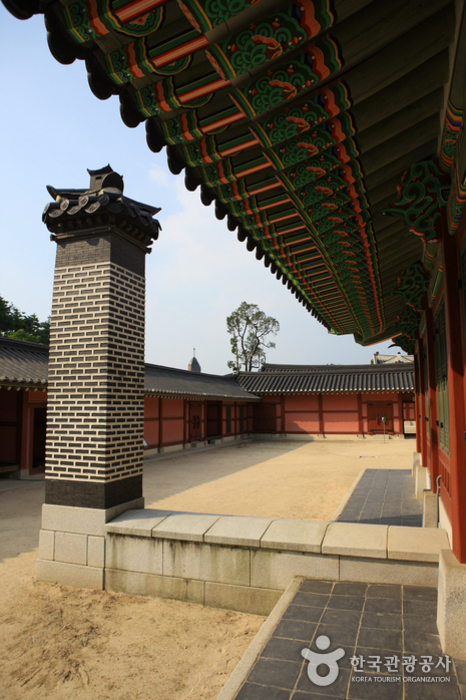 Select areas of the parking lot are closed due to archeological research and restoration work. 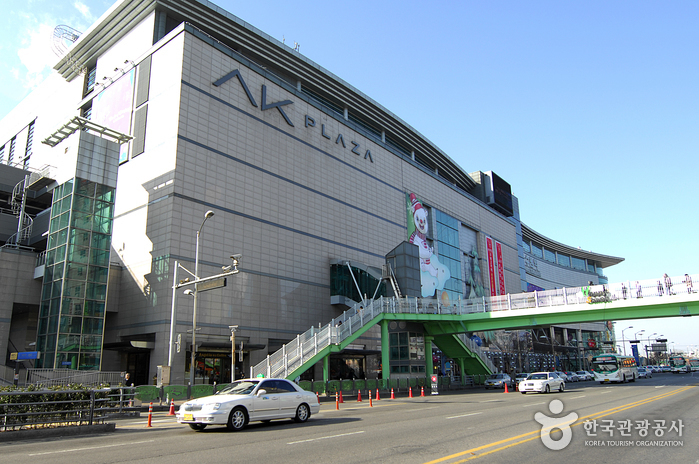 During this time, please use public transit or the temporary parking lot. 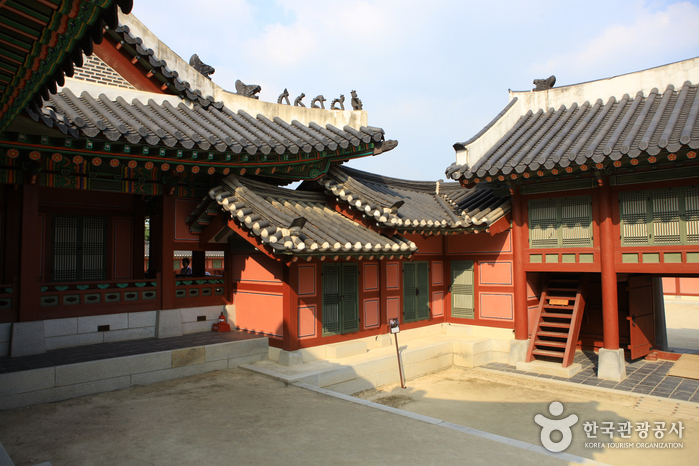 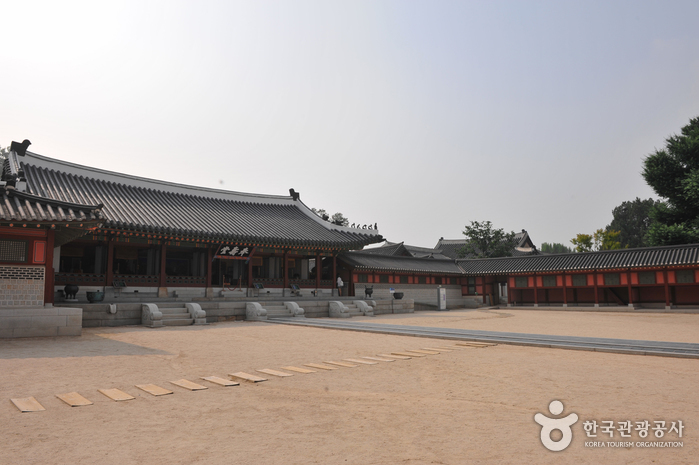 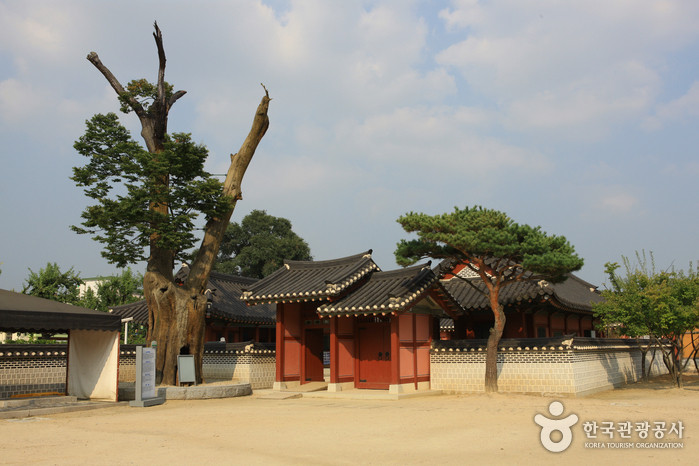 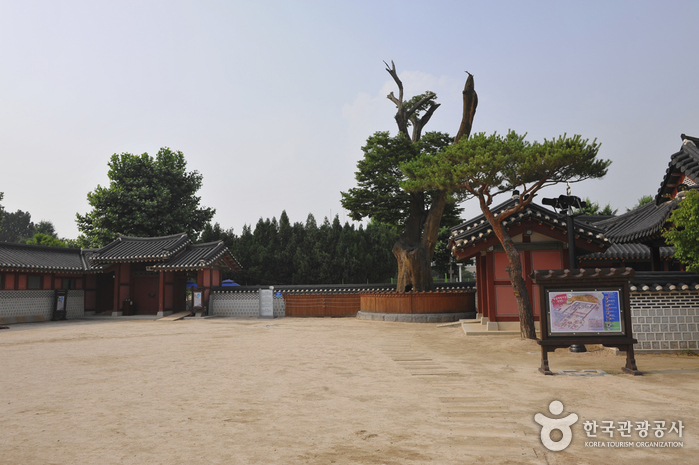 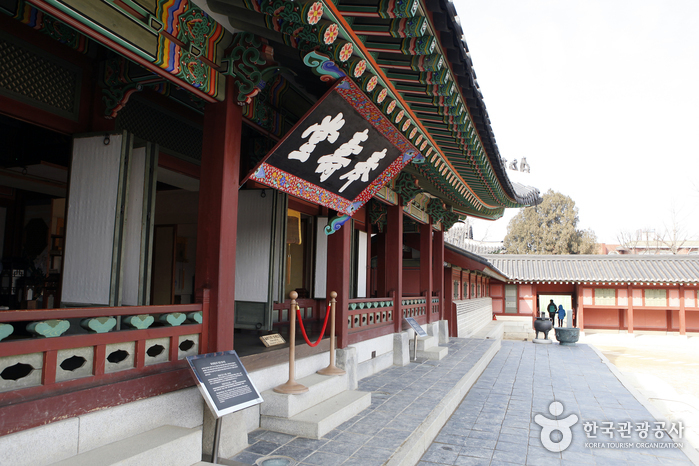 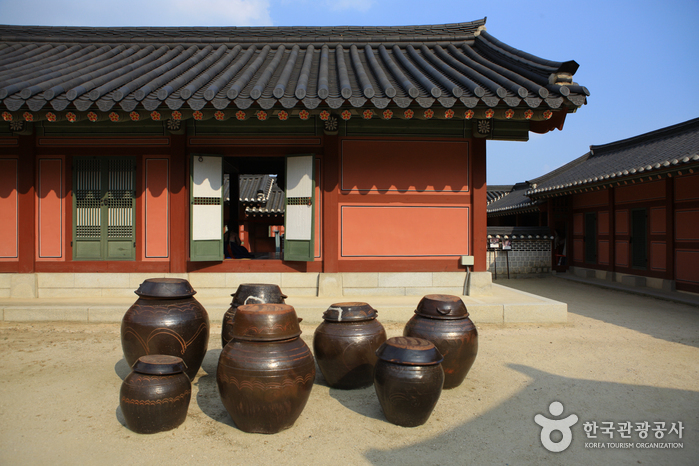 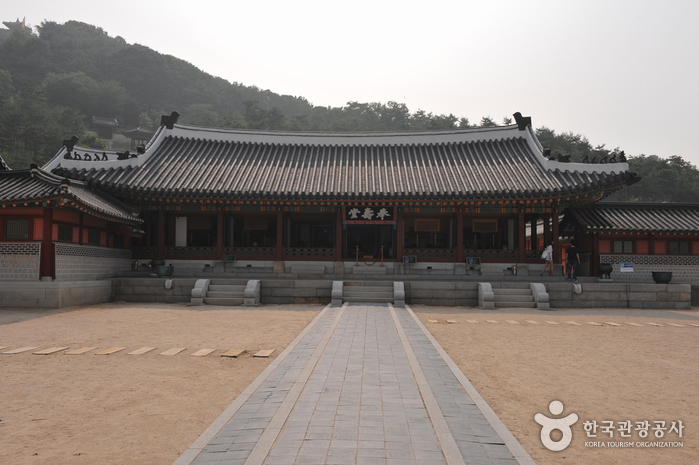 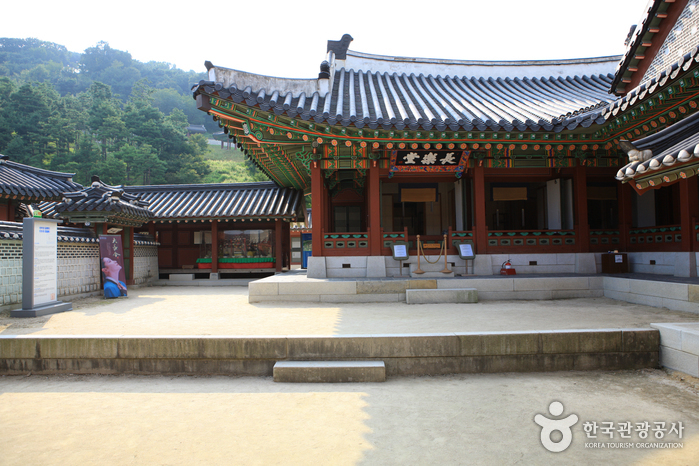 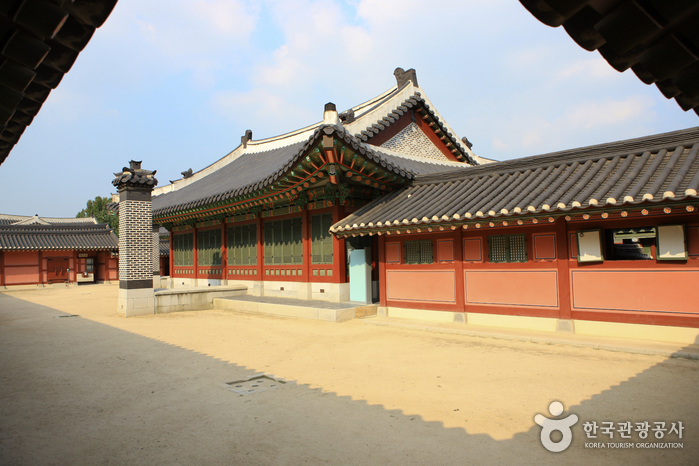 A haenggung is a temporary palace where the king and royal family retreated to during a war. 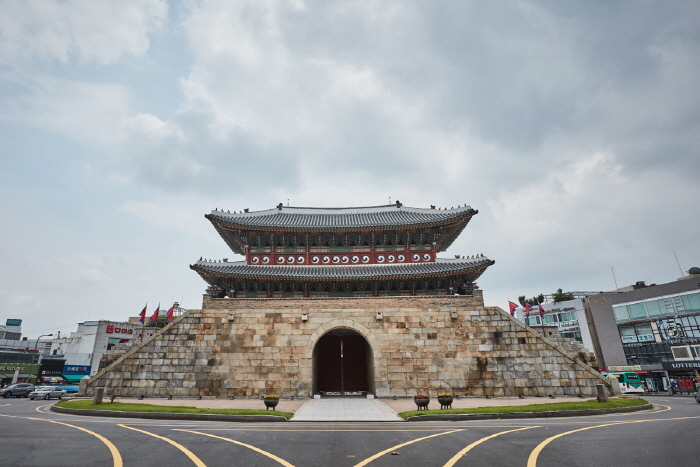 Hwaseong Haenggung Palace is the largest one of these, use by the Joseon kings since the time of King Jeongjo (r. 1776-1800). 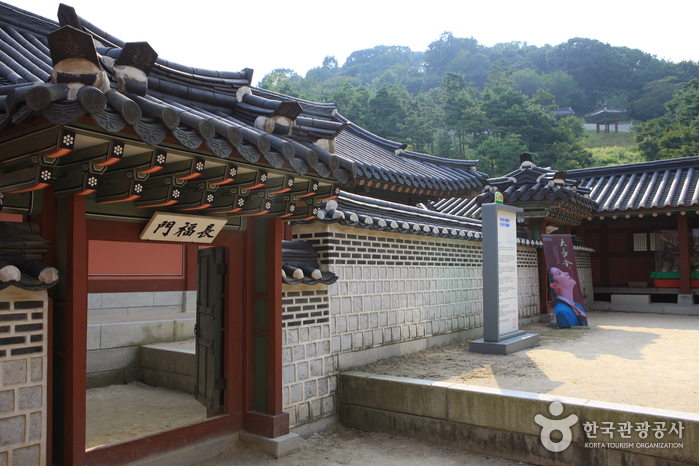 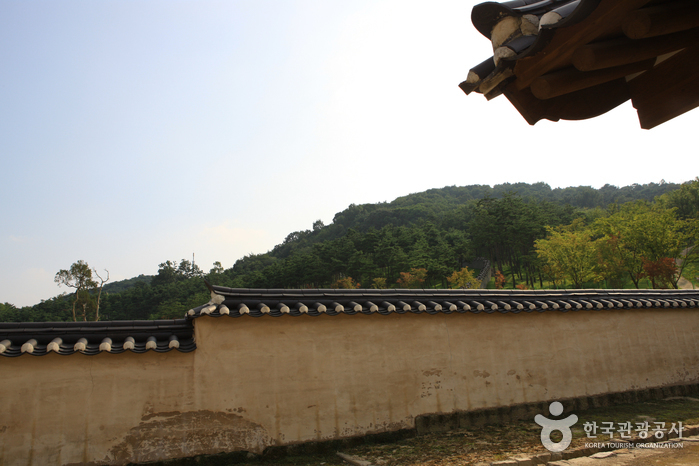 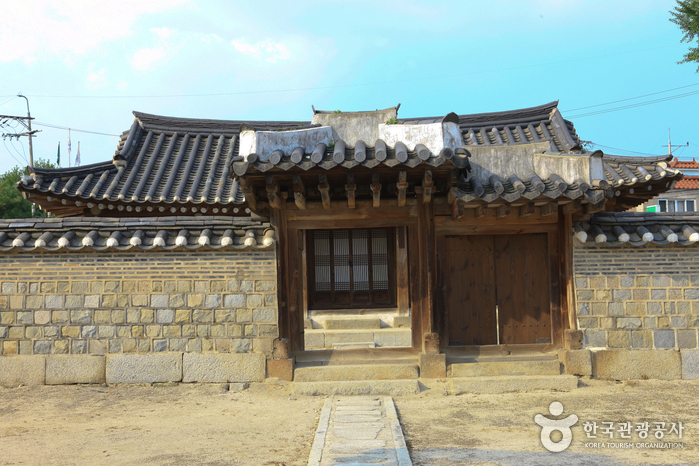 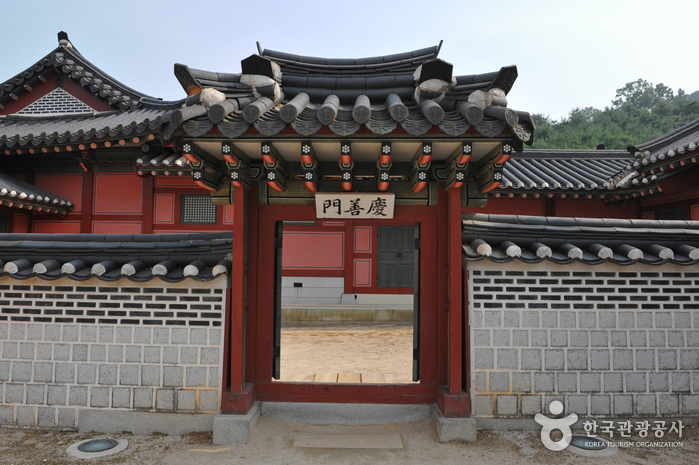 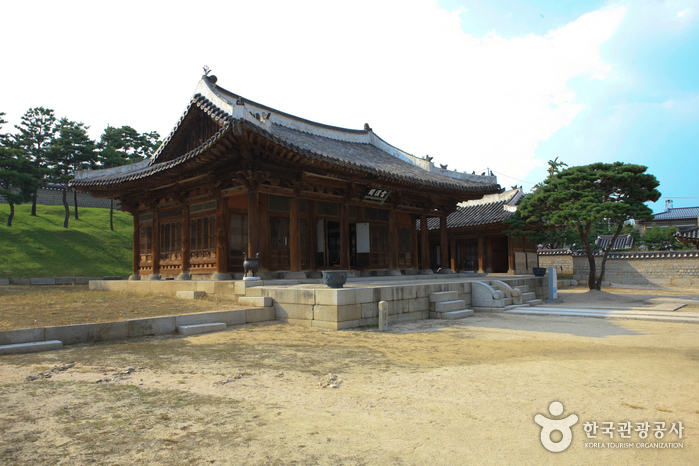 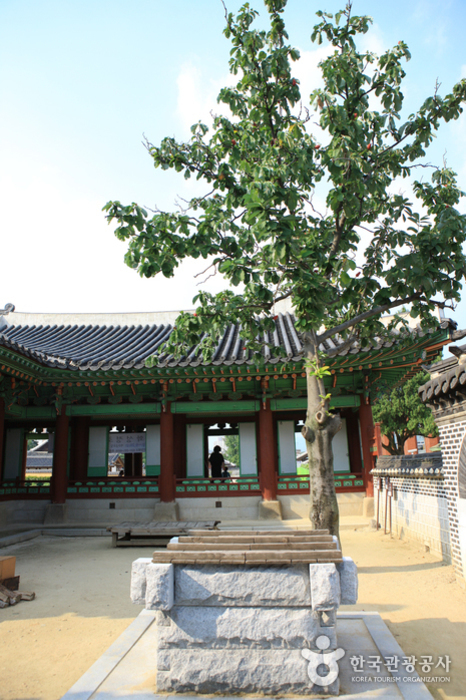 In addition to being used as a shelter during war, King Jeongjo also stayed here during trips to worship at his father's tomb. 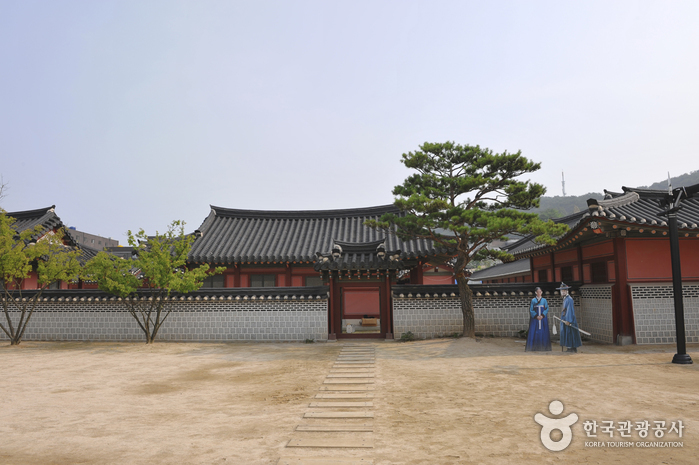 The palace was the location of a splendid feast held on the 60th birthday of his mother, Hyegyeonggung Hong, and many other events, including award certificates for successful candidates of special national exams. 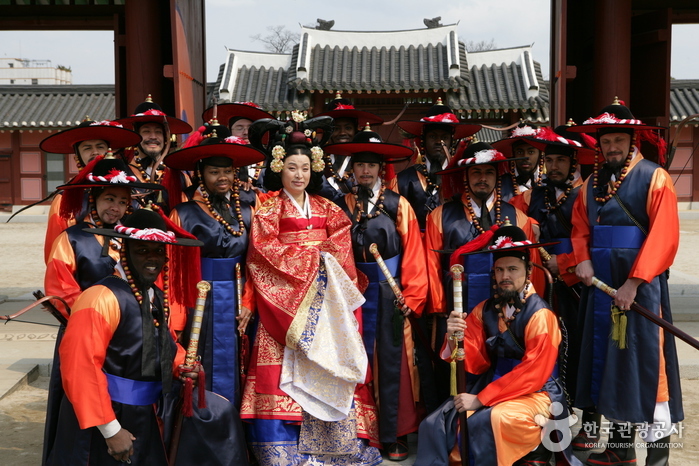 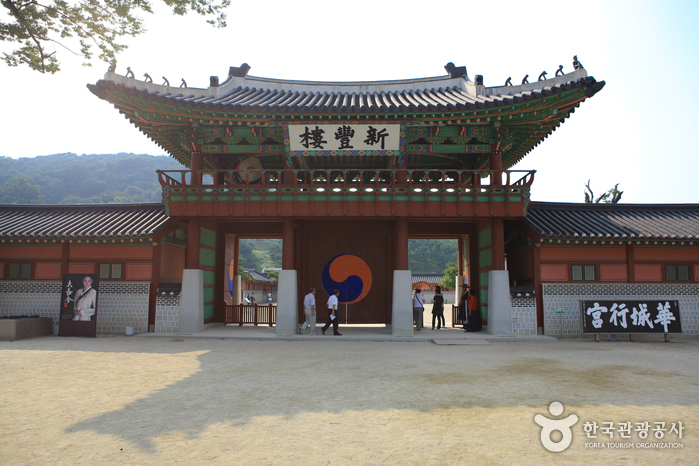 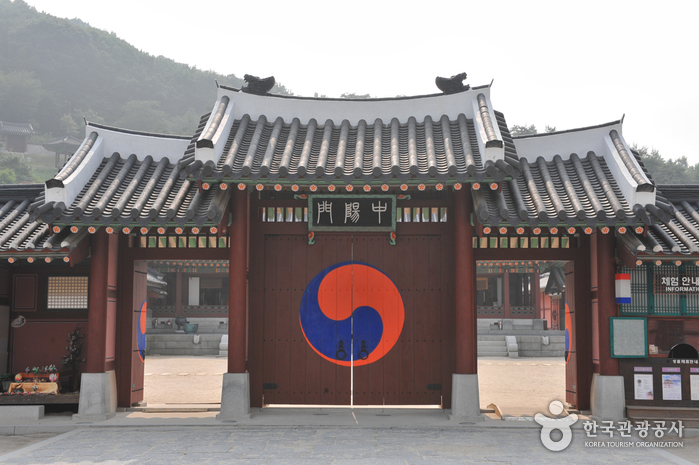 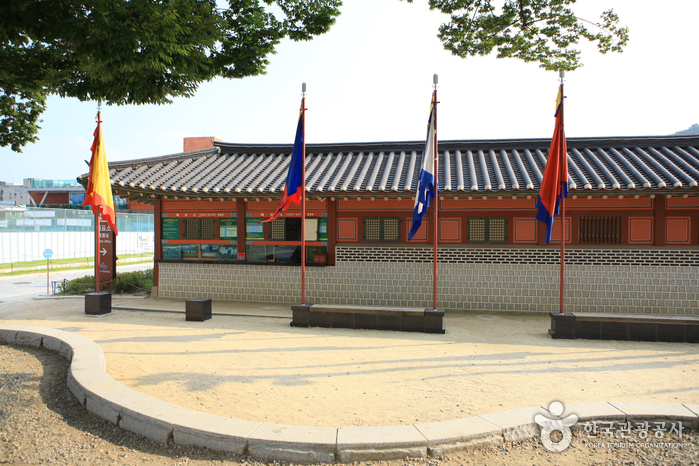 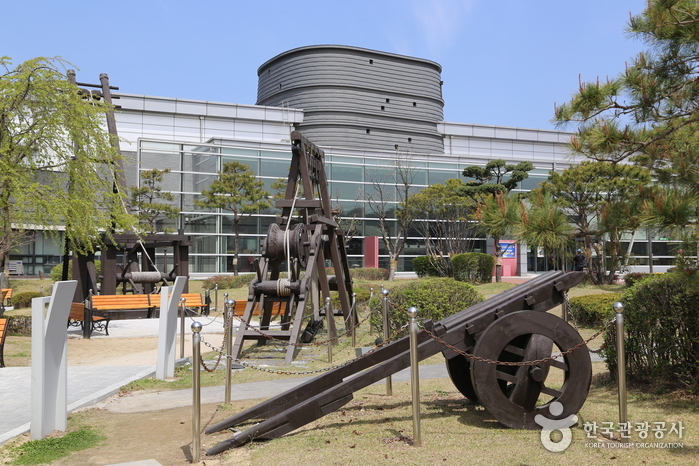 Jangyongyeong guard ceremony is held at the front gate every Sunday from April to October. 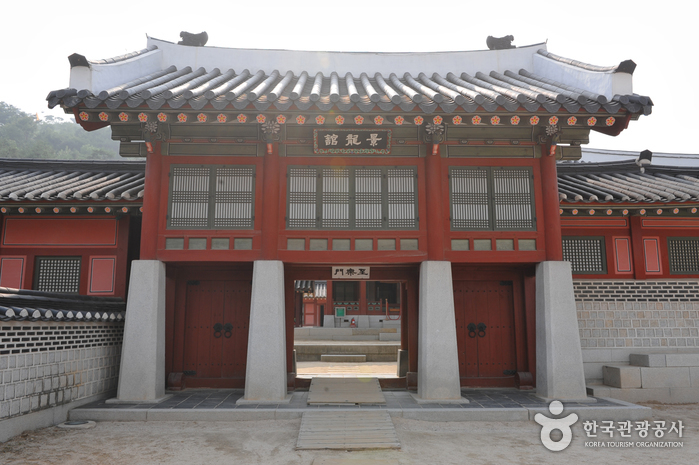 * For groups of students (20 or more), 1 accompanying staff or guardian can enter free. 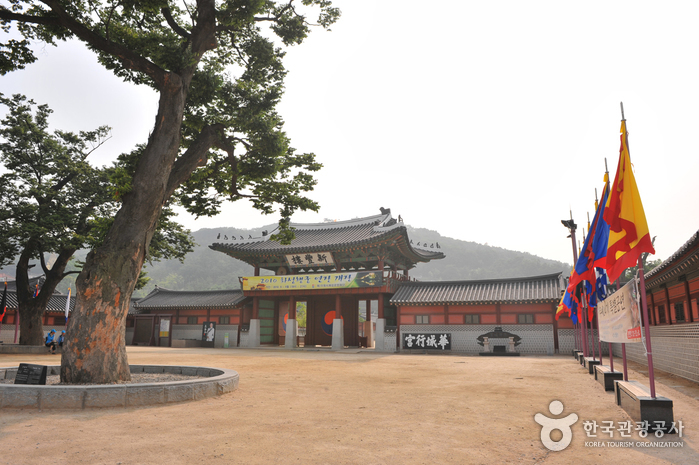 * Sinpungnu Pavilion, Bukgunyeong, Namgunyeong, Jipsacheong, Seoricheong, Bijangcheong, Jwaikmun Gate, Jungangmun Gate, Yuyeotaek, Boknaedang, Gyeongnyonggwan, Bongsudang, Jangnakdang, Mirohanjeong, Naknamheon, etc. 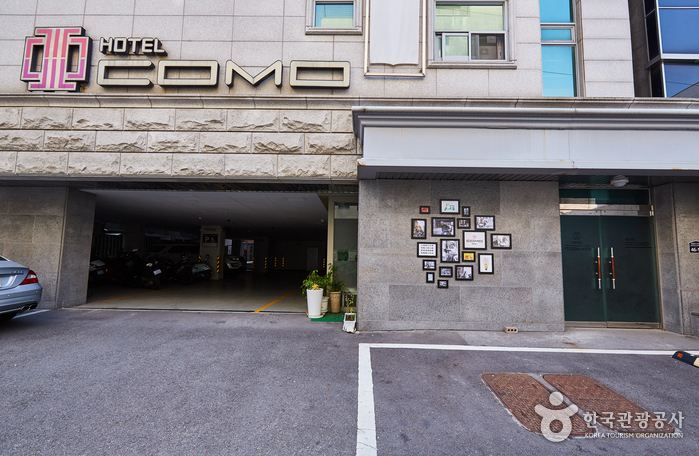 * Free parking for the handicapped. 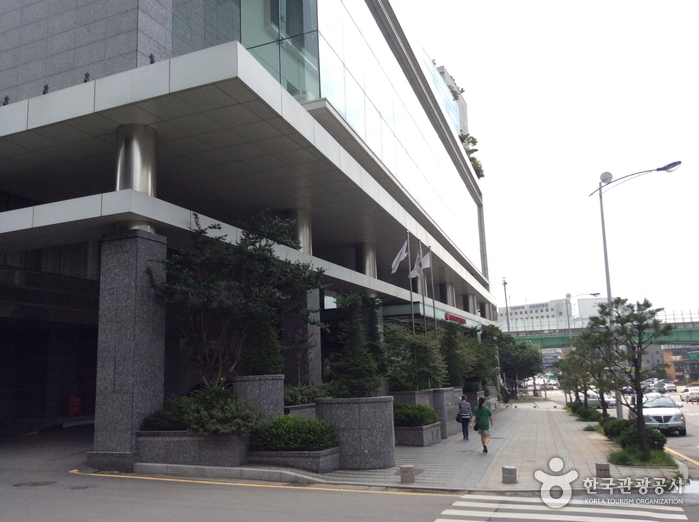 Individual (4 people or more): on-site reservation. 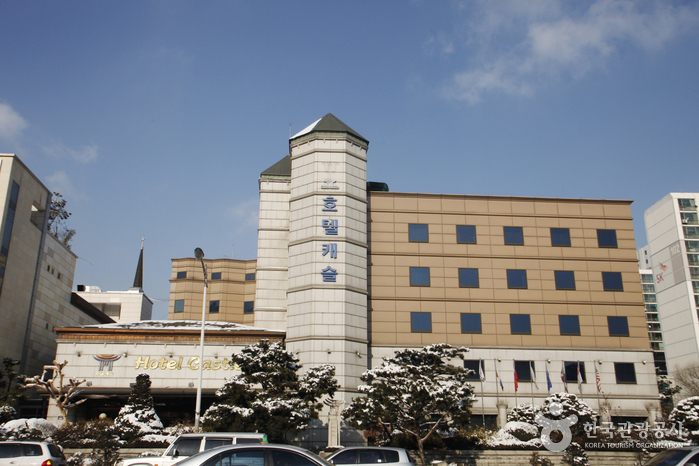 Suwon Station (Seoul Subway Line 1), Exit 6. 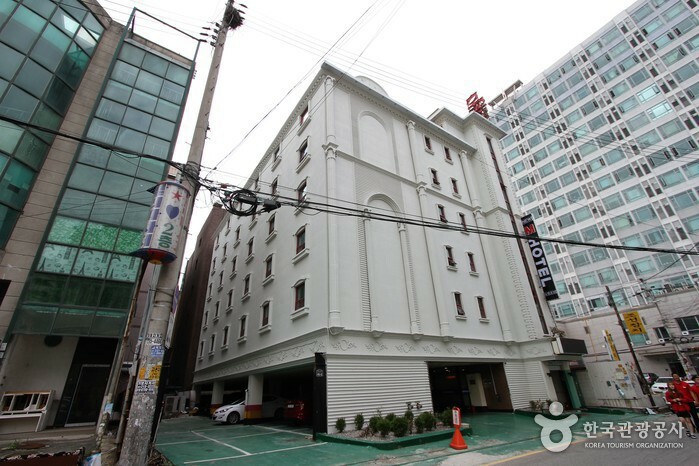 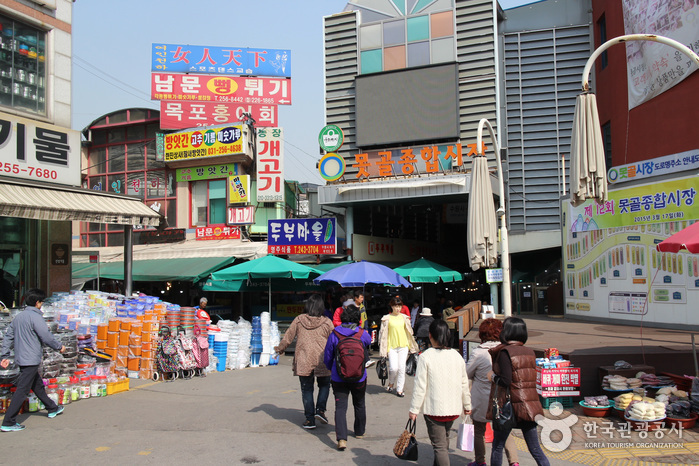 Cross the road, turn right, and walk 100m to the Yeokjeon Market bus stop. 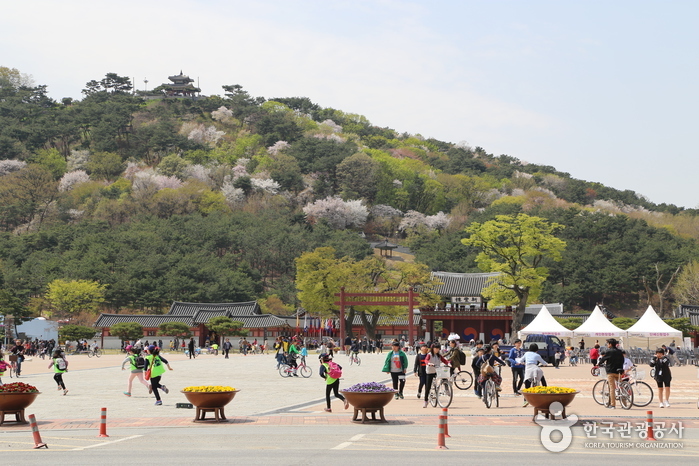 Take Bus 7, 7-2 or 32-1 and get off at Hwaseong Haenggung. 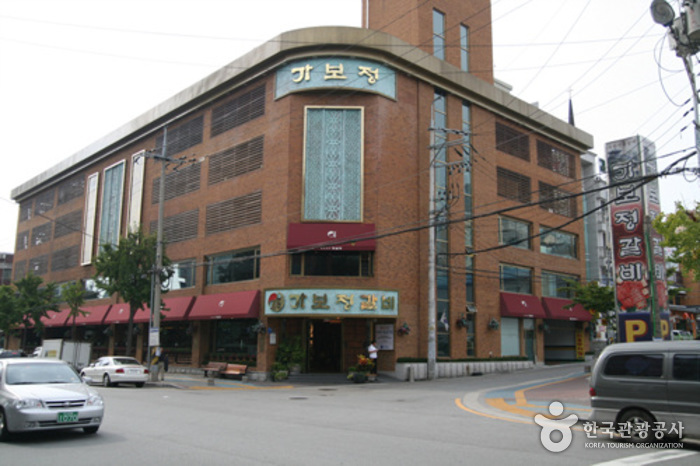 Take bus No. 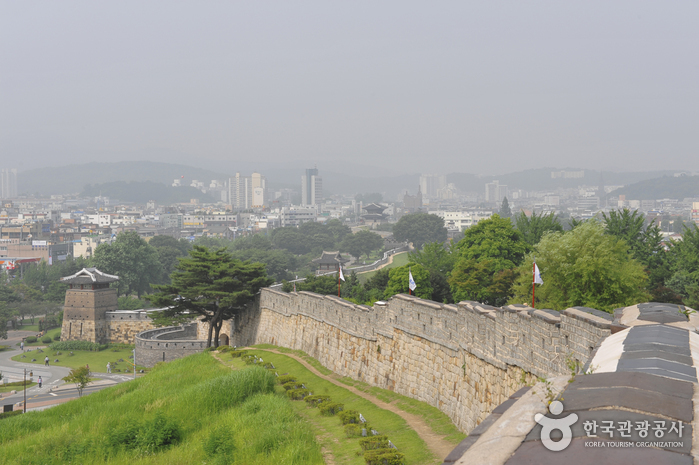 1007 from Jamsil station (Subway Line 2), and get off at the Hwaseong Haenggung station. 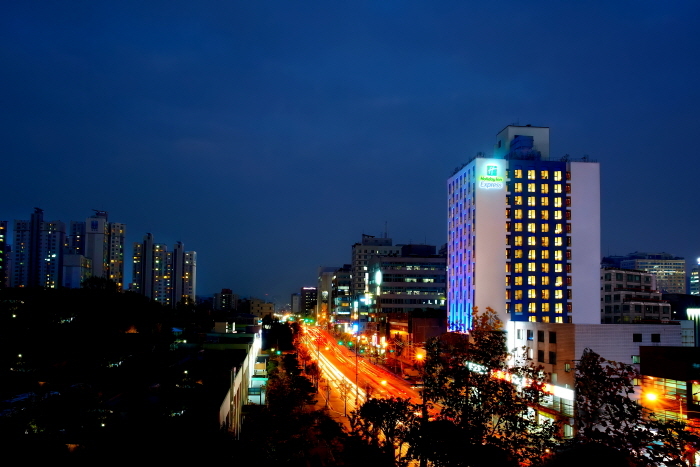 The first bus leaves at 5:00 am and comes every 8-12 minutes. 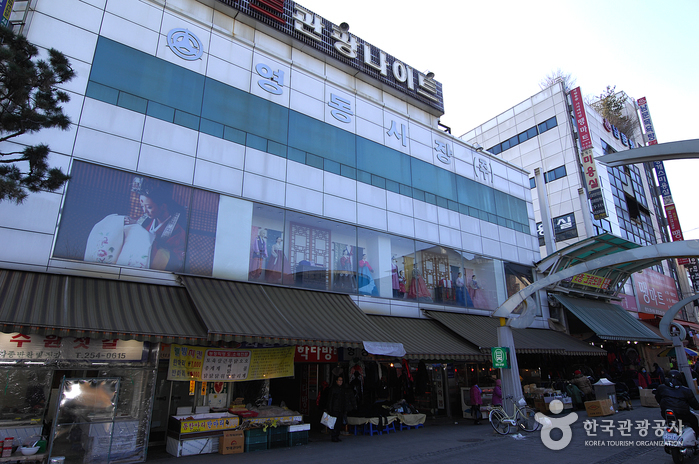 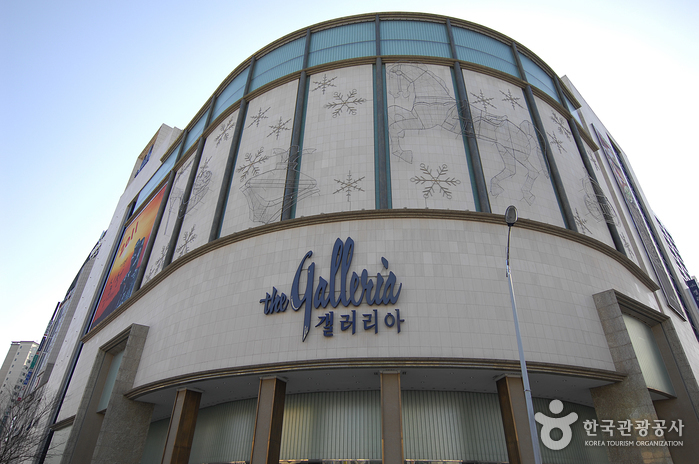 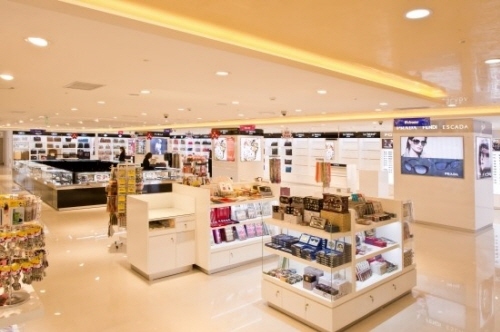 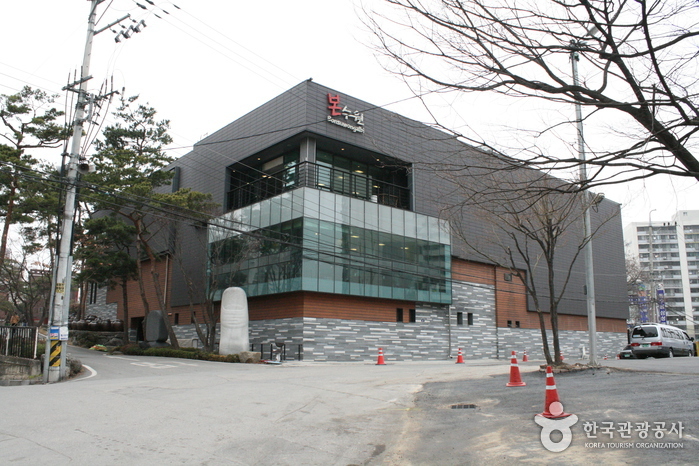 Take bus No.3000 from Gangnam station (Subway Line 2), and get off at the Buksu-dong station. 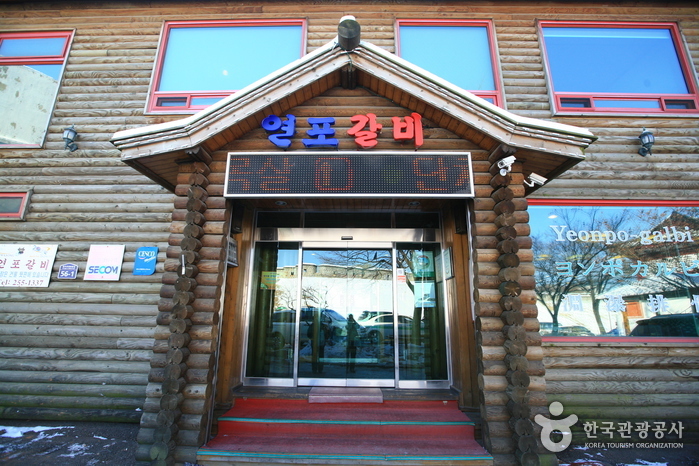 The first bus leaves at 6:00 am and comes every 20 minutes.